Search for Matawan homes for sale. Call 732-598-7700 to see the homes in Matawan. 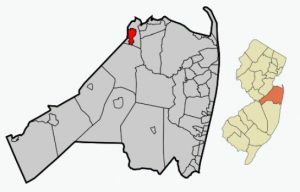 Matawan is located in the northern section of Monmouth County. It’s in a popular location because there are major roads passing through Matawan. Additionally, there is a NJ Transit train station in Matawan. Furthermore, ferry service to Manhatten is available within a short drive. In fact, all these options make Matawan an ideal location for NYC commuters. Matawan has a total area of 2.403 square miles. The population in the 2010 Census was 8,810 people. The median household income was $68,375. Matawan has a population of more than 18,000. The homes for sale in Matawan are mostly in the starter home and the mid range price range. However, homes have recently sold for well over $600,000. Most of the Matawan homes are detached, single family homes, however, you can also find condos available in Matawan. The Henry Hudson Trail passes through Matawan. This is a 24 mile long paved walking / biking trail.The middle segment ends in Matawan and begins in Atlantic Highlands. There is a quaint downtown shopping and dining area in Matawan. It’s a short drive to the Atlantic Ocean and Sandy Hook. Students from homes in Matawan will attend the Matawan-Aberdeen Regional School District, and the school system provides education for children in grades K – 12. There are seven schools in the district, and the student population is about 4,000 children. School age children from Aberdeen also go to the same schools. In addition, there are a number of private schools in the area. Another option for high school students is to attend one of the seven magnet schools in the Monmouth County Vocational School District. Specialized courses are available in fields such as computer science, and biotechnology. Also courses in the medical and science fields are available, among others.